A talented artist and a devoted mother of two, Marie Hartley was known as someone who lived life to the full. The 34-year-old had travelled to the capital from Oswaldtwistle in Lancashire with a colleague to try to recruit new artists at an art exhibition in Islington, north London. But the number 30 bus they took on the morning of 7 July 2005 never reached its destination. Mrs Hartley was killed when a bomb blast ripped through the bus in Tavistock Square. 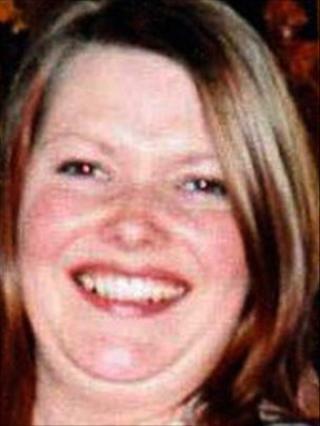 Camille Scott, who she worked with at a greetings card firm in Altham, Lancs, was blown out of the bus but escaped with facial injuries. Born in Lancashire in 1971, Marie was a happy, inquisitive little girl with an outgoing personality. She attended St Nicholas Church of England School in Accrington and later the nearby Moorhead County High School. While there, one teacher spotted her exceptional talent for art and she was put forward for a junior position at a design studio, which she won. In 1987, she joined Hambledon Studios as an artist, progressing to graphics manager, then studio manager. She worked there until her death. Besides art, Mrs Hartley enjoyed music and reading and attended St Mary's Roman Catholic Church, where her funeral was held. In a statement read out at her inquest, her mother Barbara Targett said Marie and her husband David, who married in 1996, were "soulmates". They lived totally for their two sons and were an "extremely loving, happy family unit", she said. "She had a great sense of fun, lived life to the full and touched so many people with her happiness and love. "She had the ability to light up any room and was not only a wife, daughter and sister, but a best friend to all her close family members." Shortly after her death, her husband David paid tribute to her skills as a mother to their boys, then aged seven and one. He told the Manchester Evening News: "She was so family-orientated and everything she did, she did for the kids. She was full of life, she loved dancing and going out for meals or to the pictures. She lived life to the full." David Dean, Hambledon Studios' managing director, said Marie's colleagues were so distressed that counsellors had to be brought in. "She was incredibly talented and inspired everyone who worked for her," he said. Marie also left behind a brother Ian, a policeman.